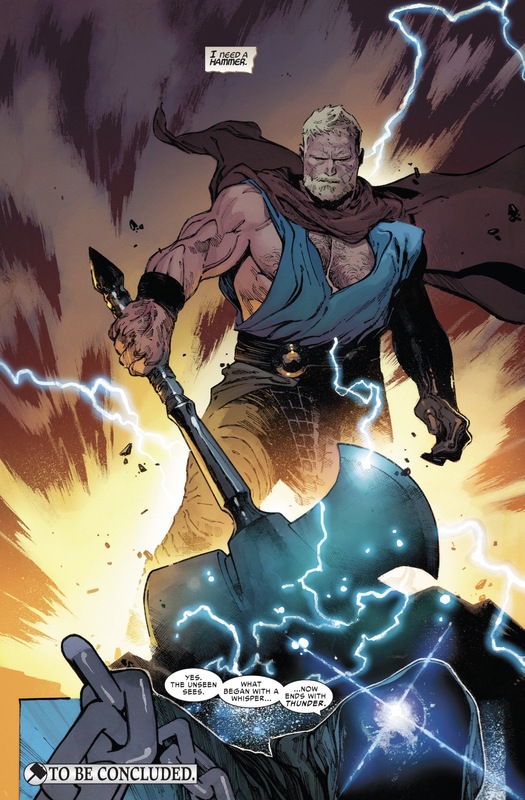 A new Thor has risen. 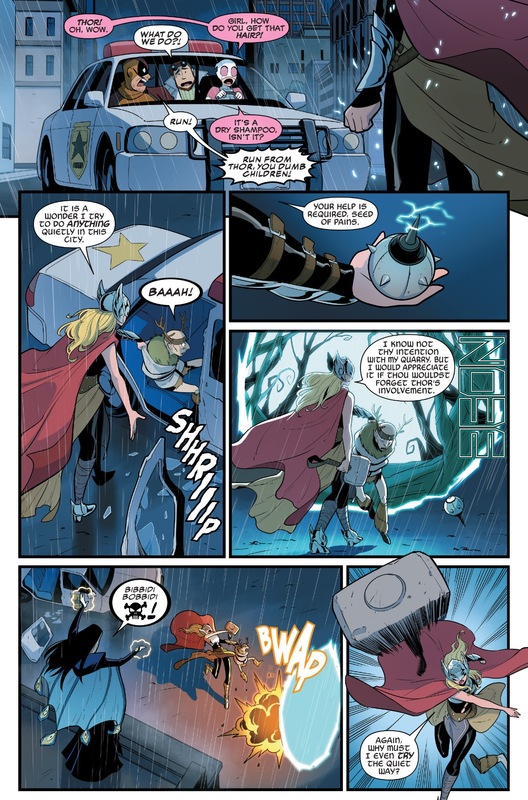 After Thor Odinson found himself no longer worth of wielding Mjolnir, a mysterious woman was able to lift the enchanted hammer and became the new Goddess of Thunder! 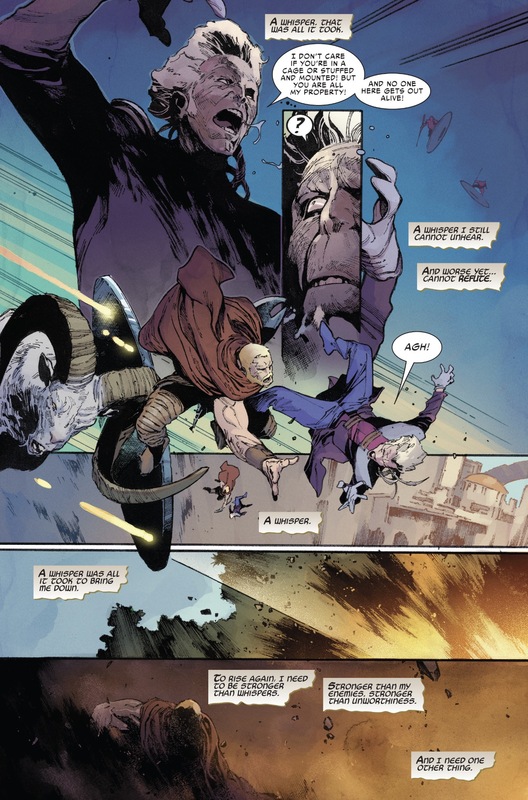 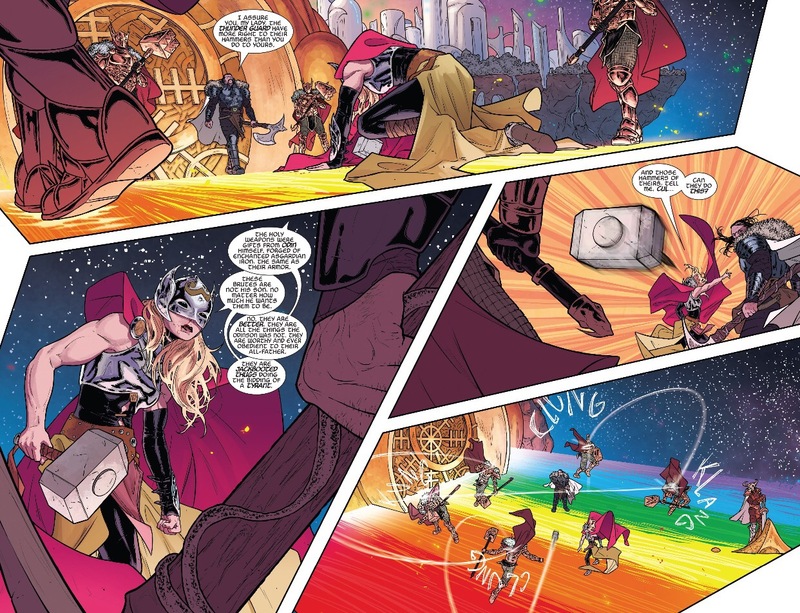 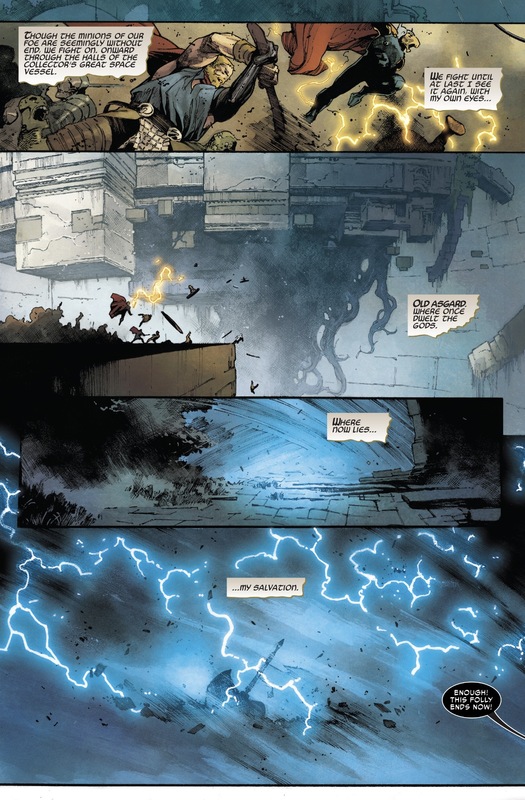 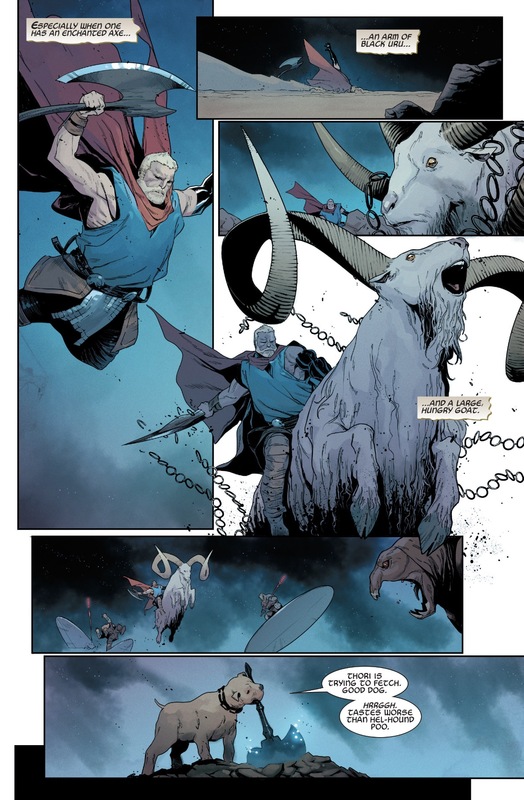 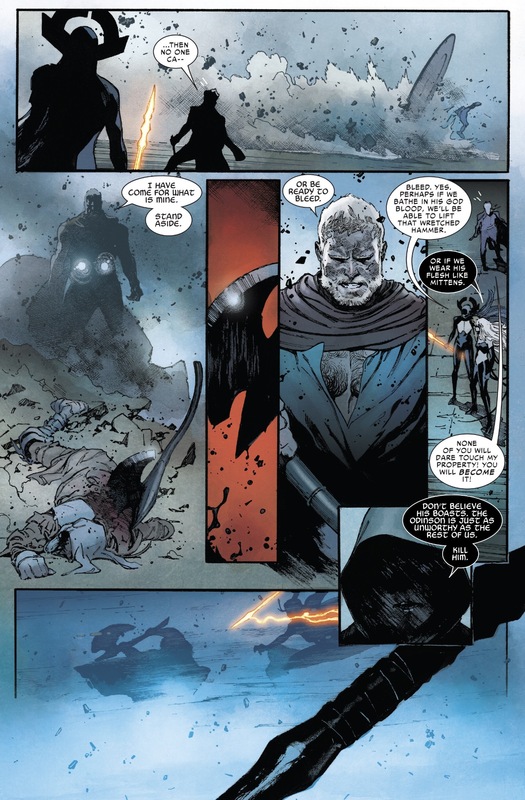 While Odinson may have given Thor his name, he hasn’t given up on discovering her TRUE name, and ODIN THE ALL-FATHER hasn’t either. 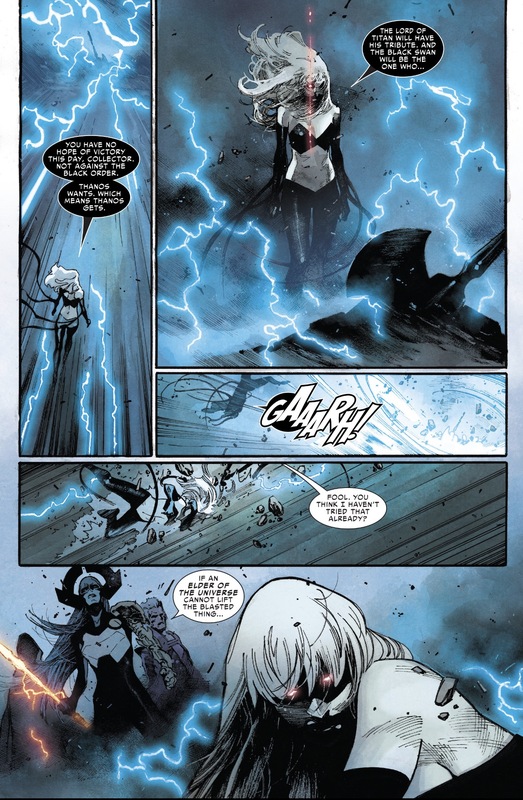 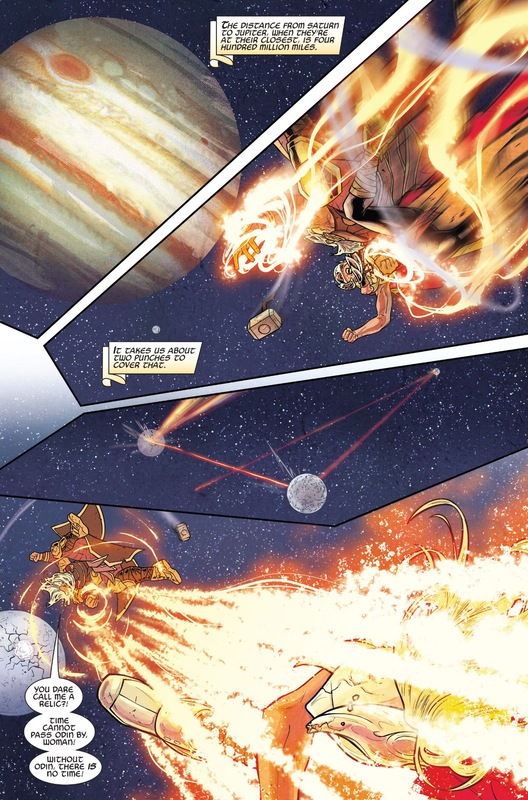 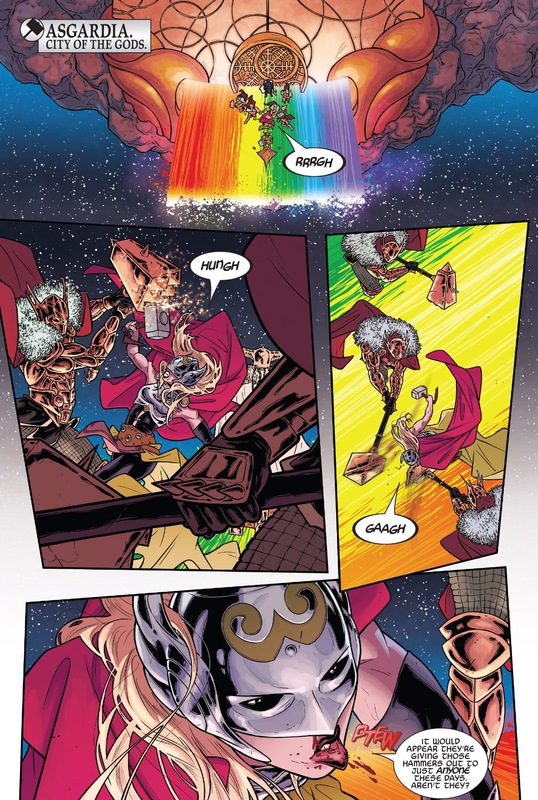 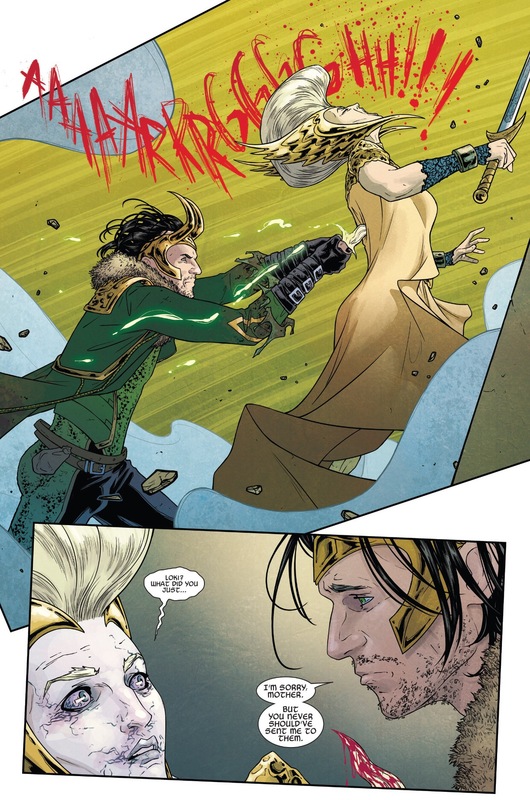 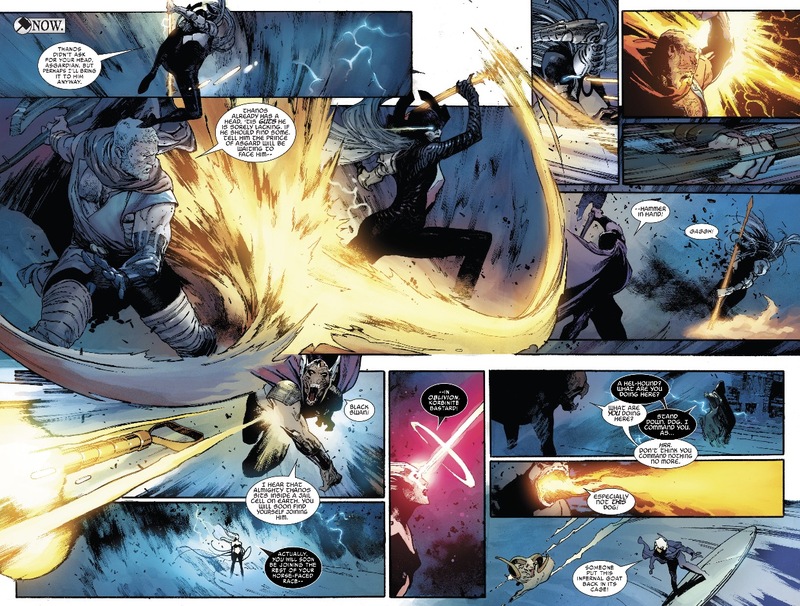 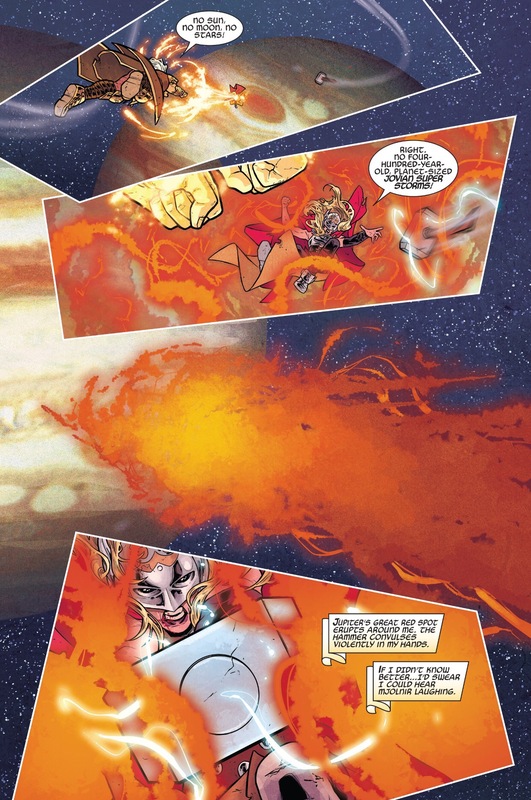 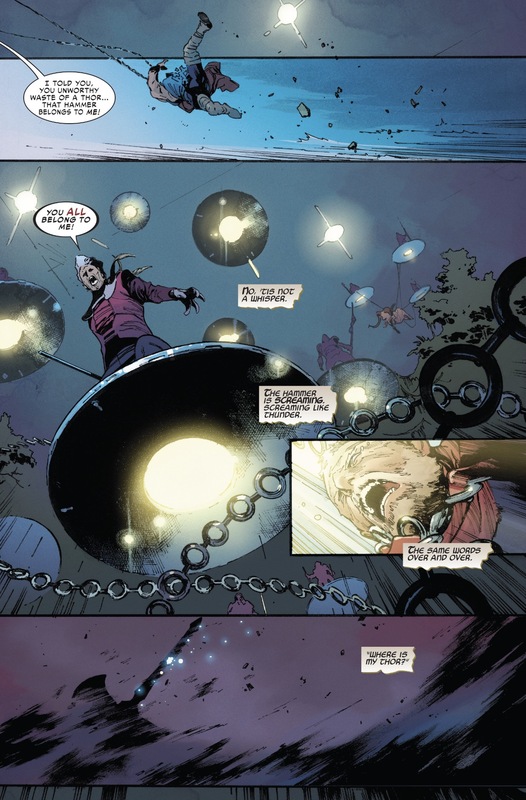 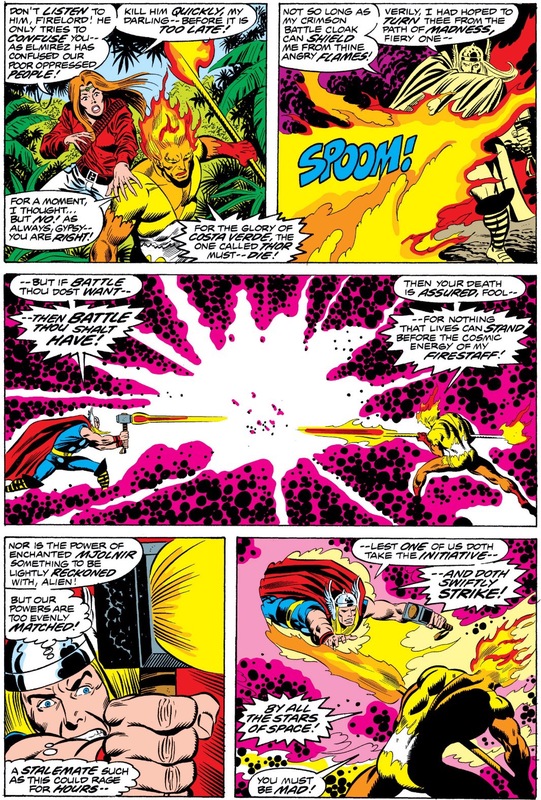 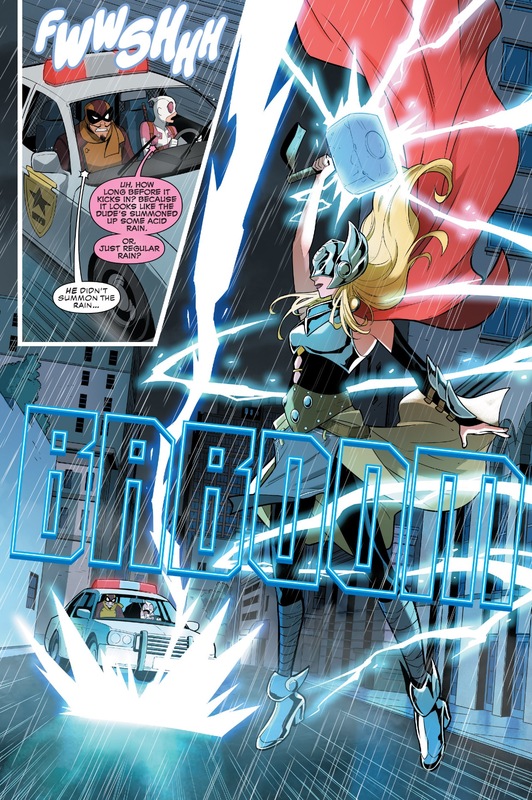 Offended at this affront to his omnipotence, Odin set the fearsome Asgardian weapon known as the DESTROYER, piloted by his brother Cul, to put an end to this new Goddess of Thunder. 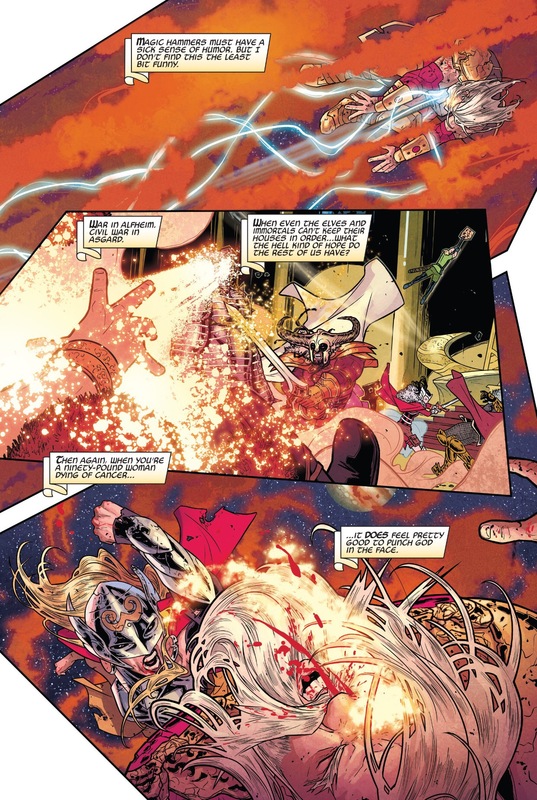 Realizing Thor’s predicament, Odinson and Freyja, the ALL-MOTHER defied their family ties and called upon the entire roster of women Odinson suspected to be Thor. 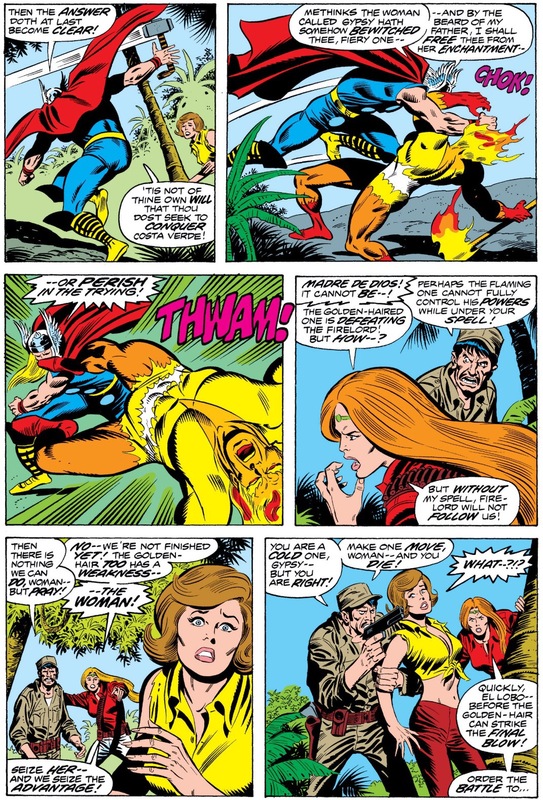 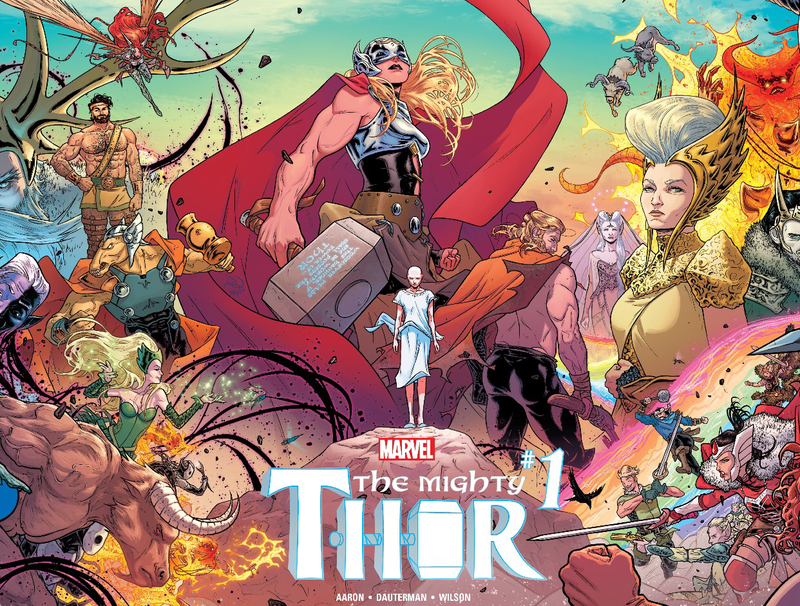 This new army has arrived at the Roxxon oil fields to help Thor defeat the DESTROYER, but they also all want to know who is the woman behind the mask. 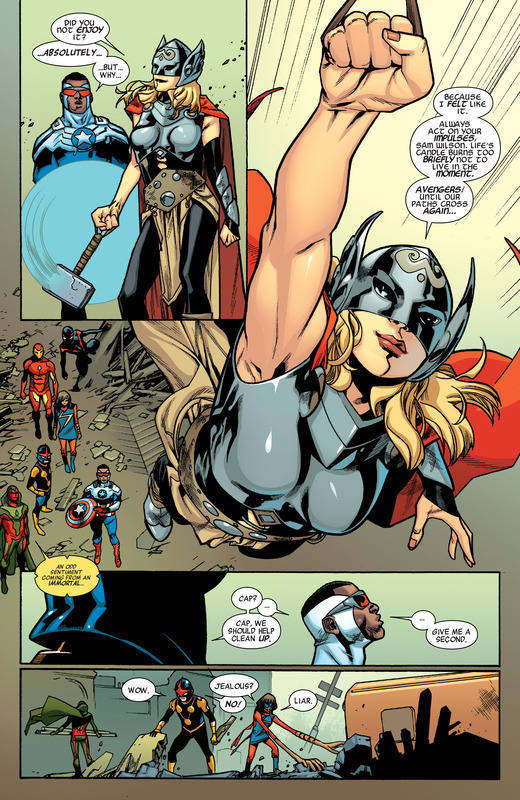 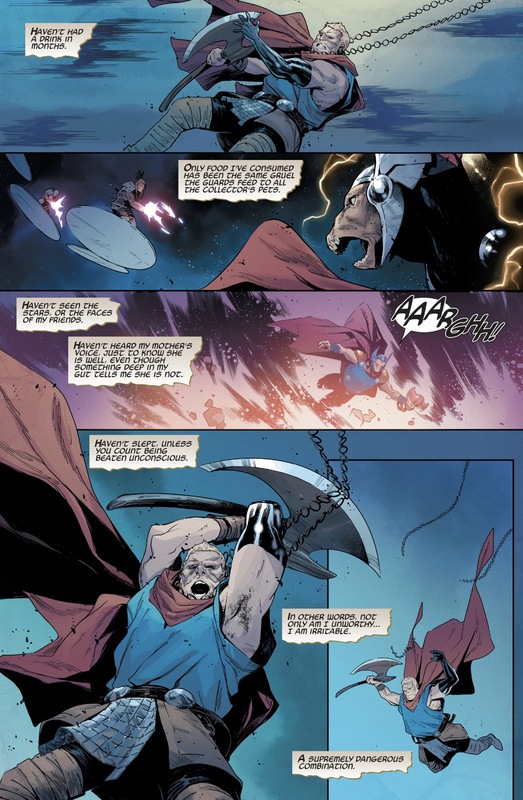 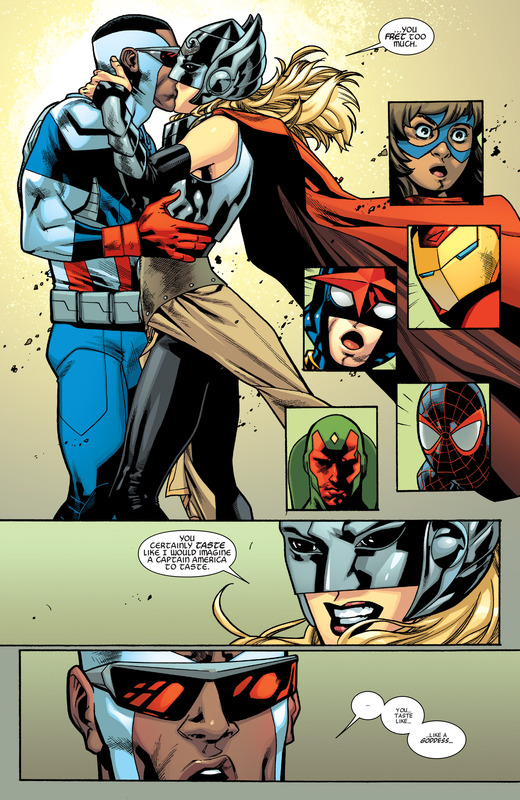 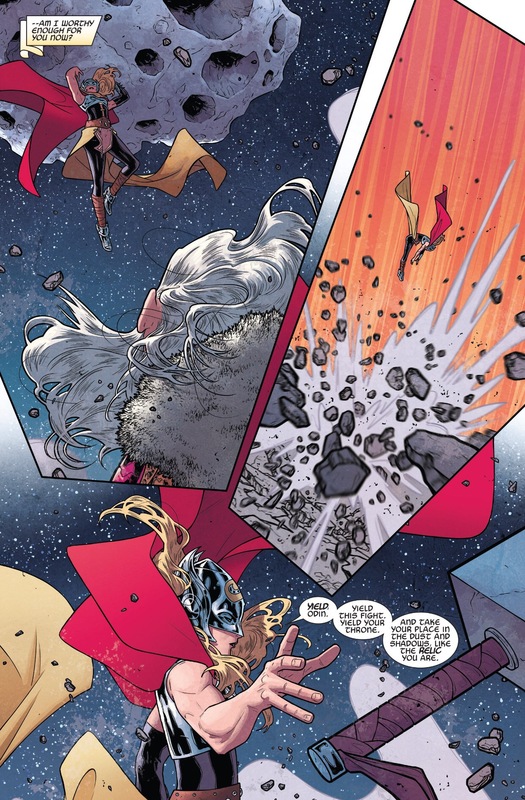 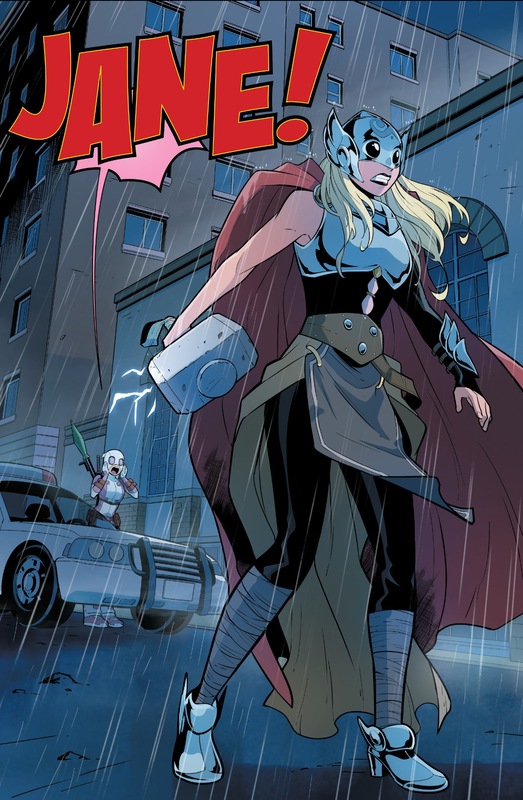 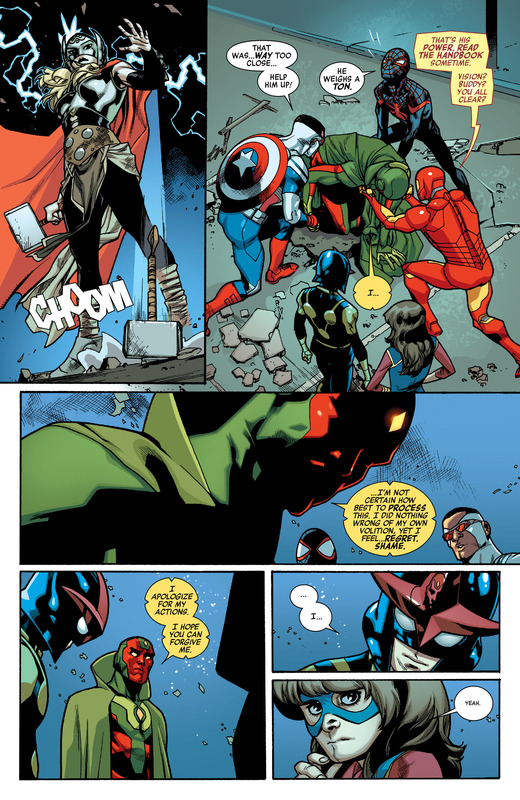 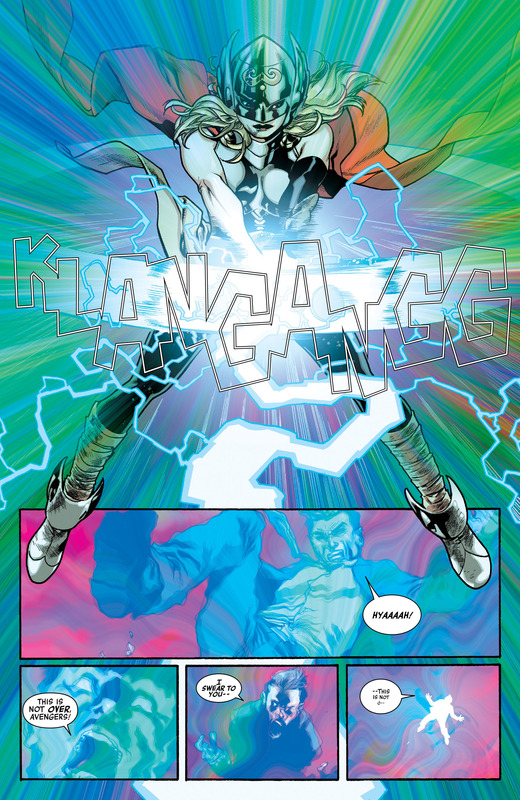 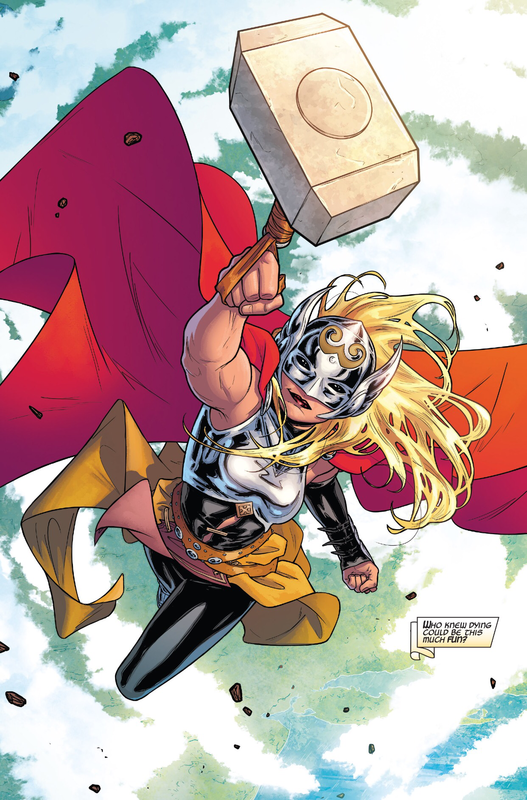 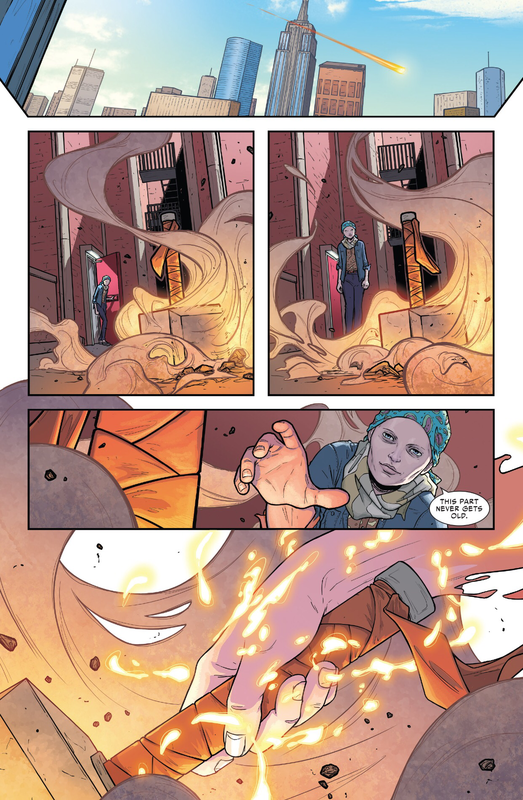 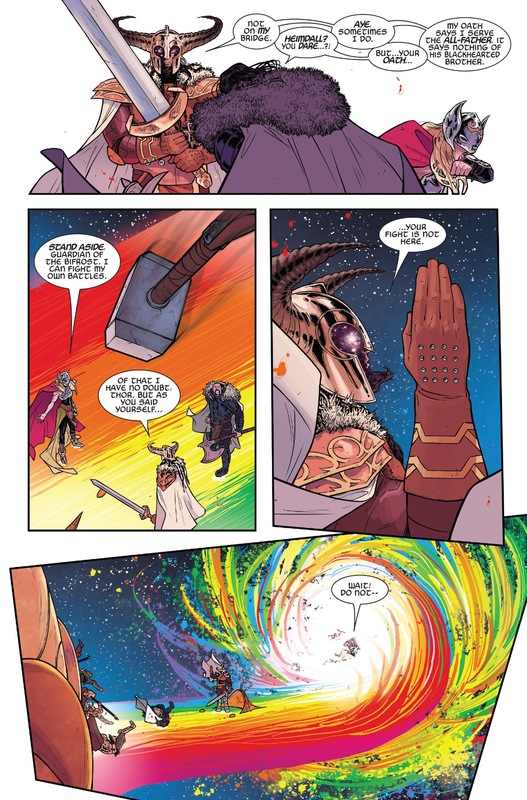 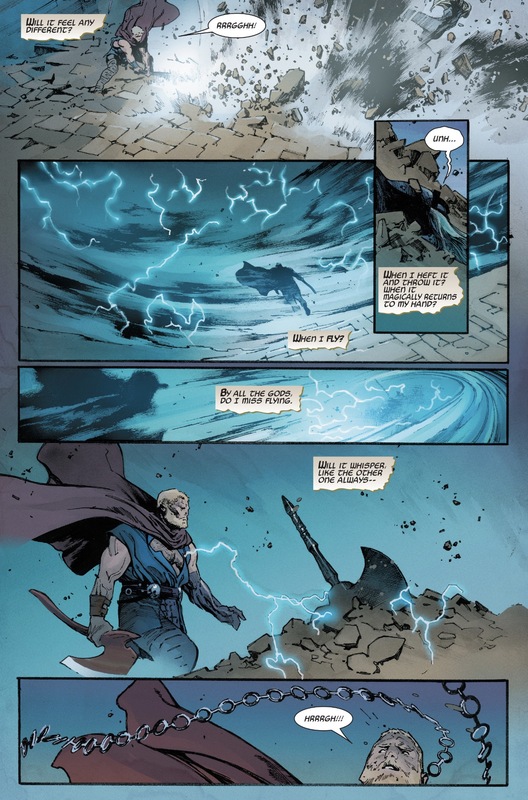 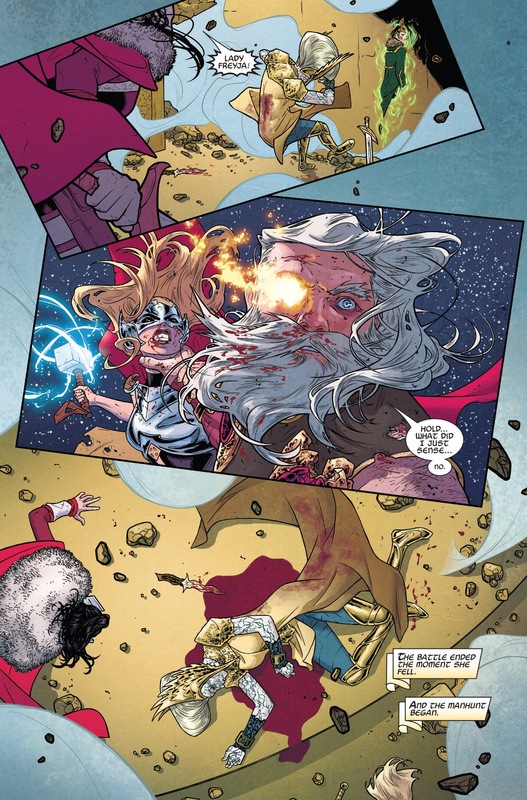 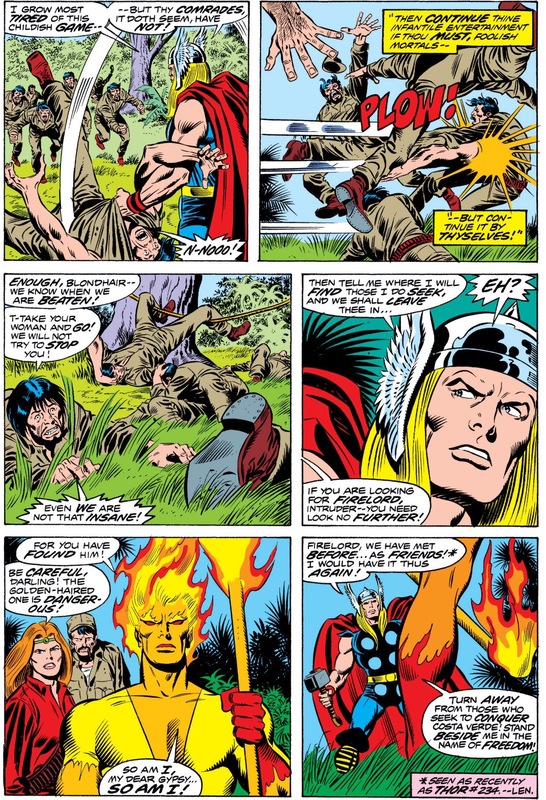 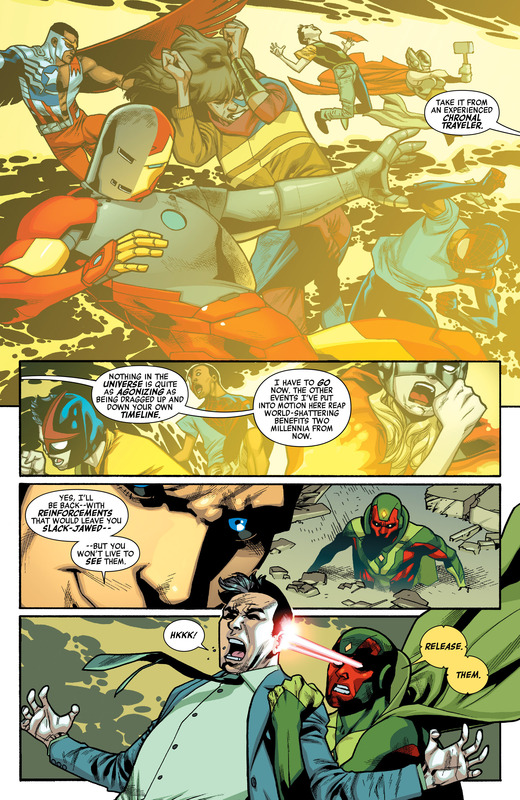 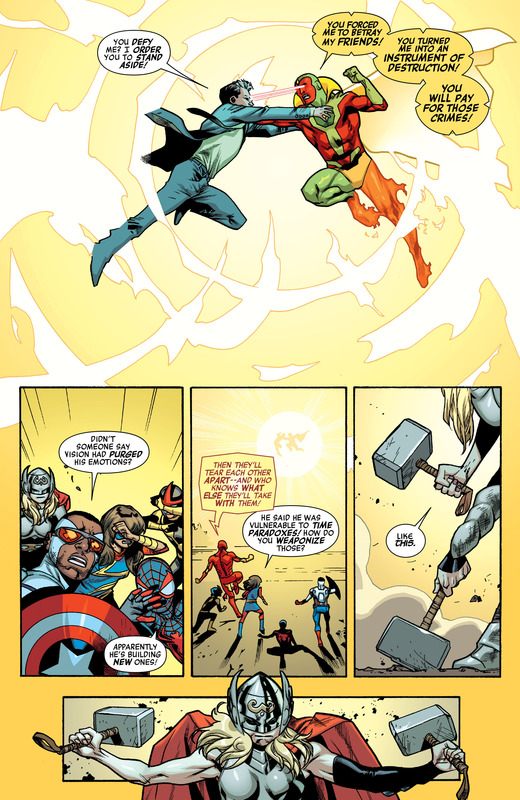 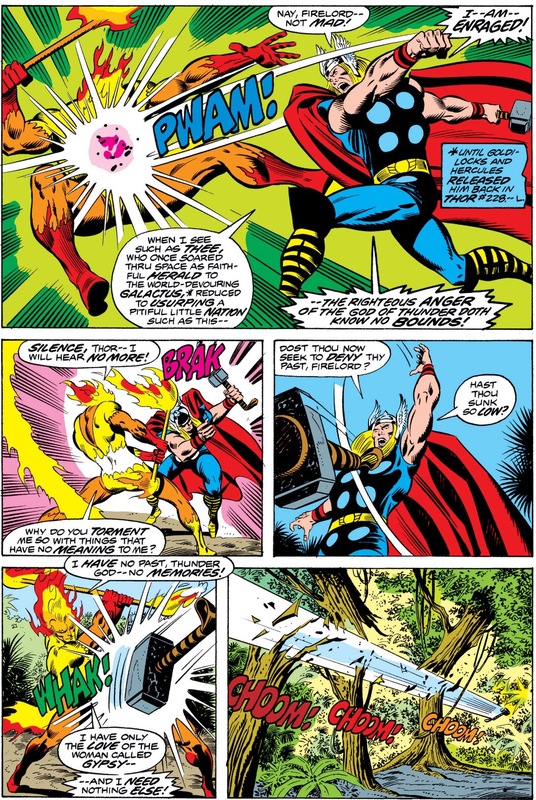 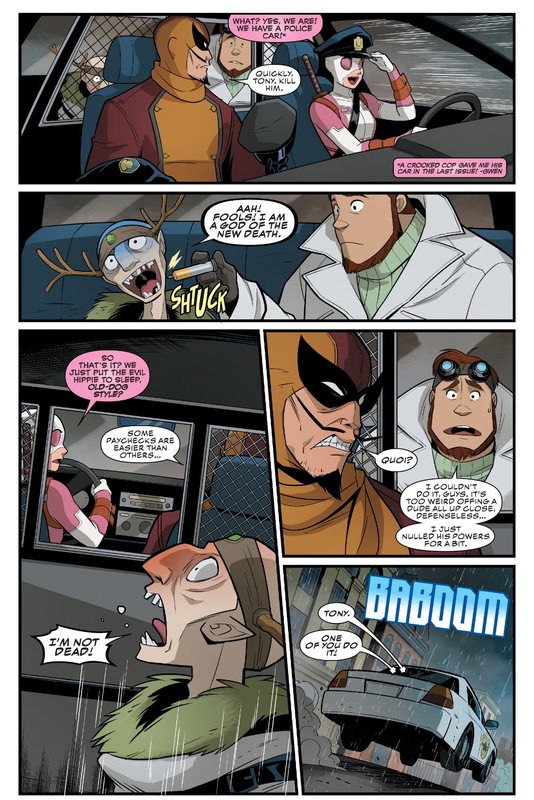 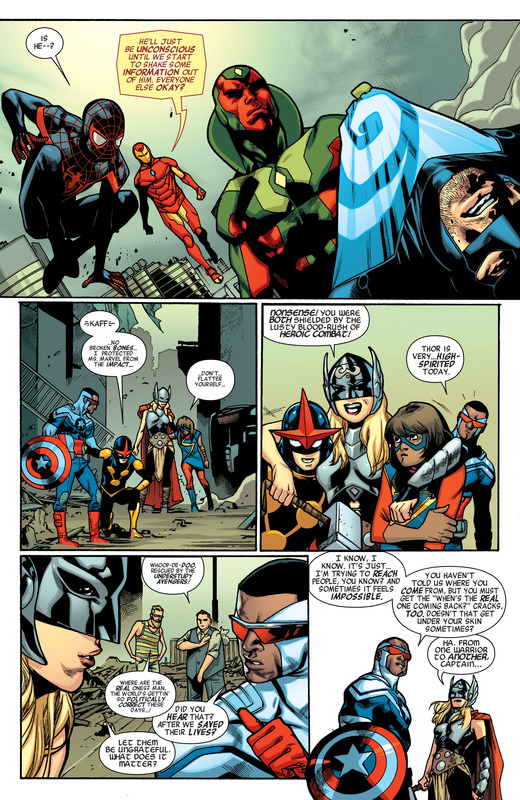 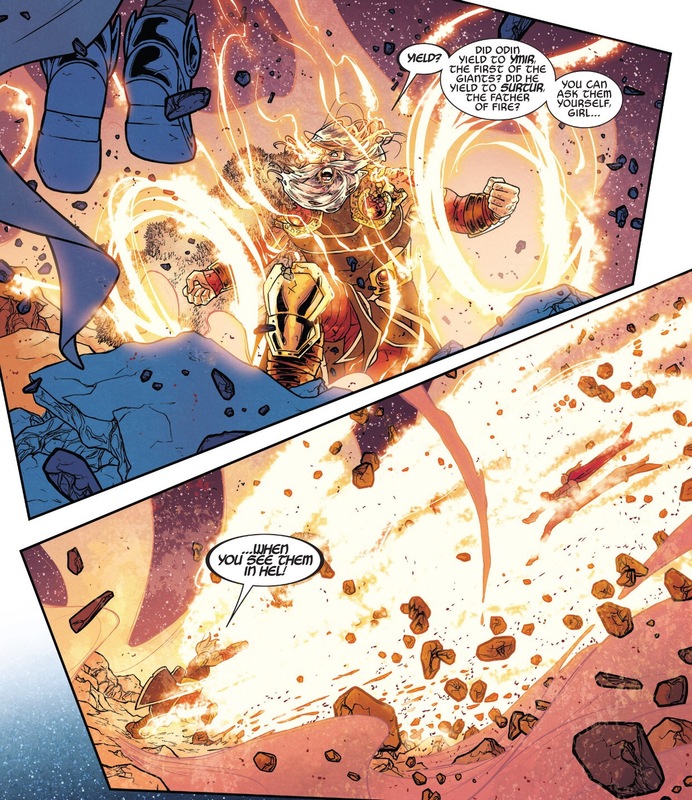 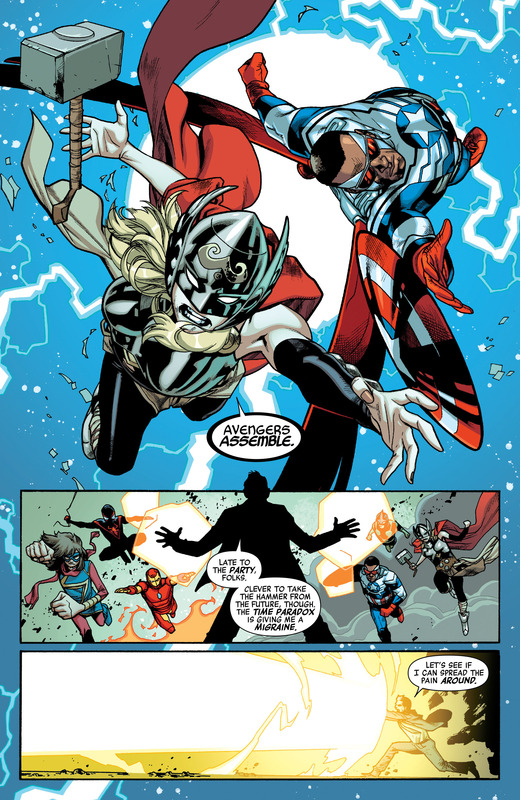 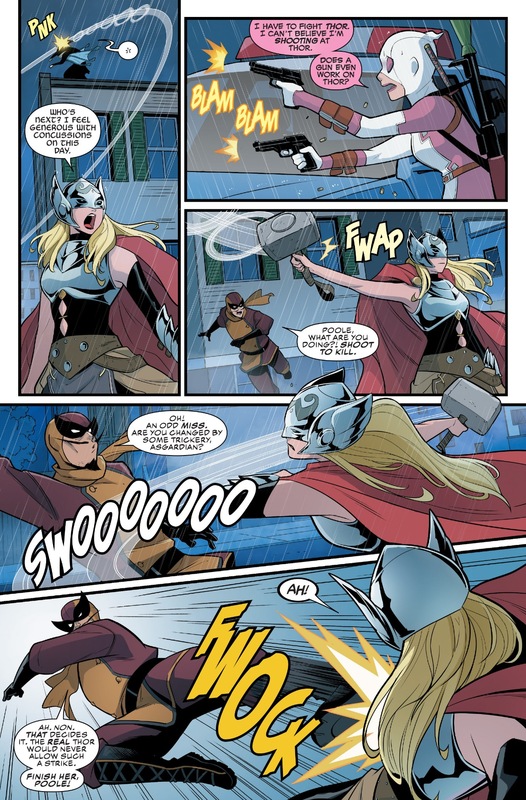 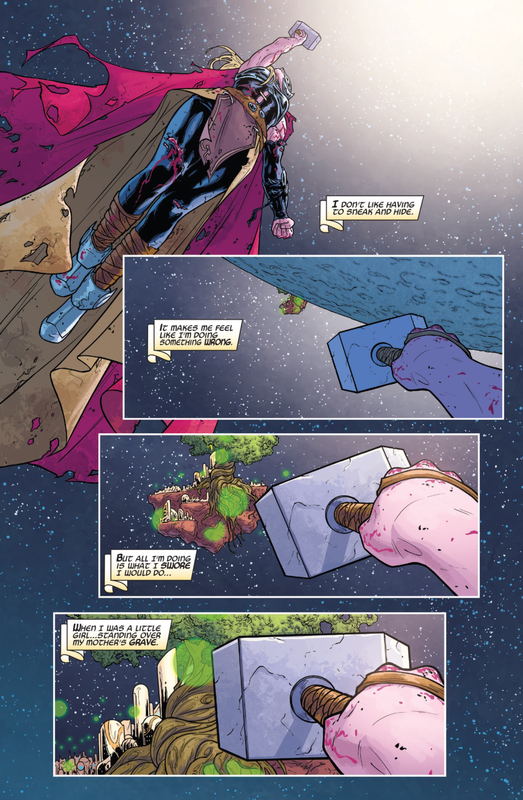 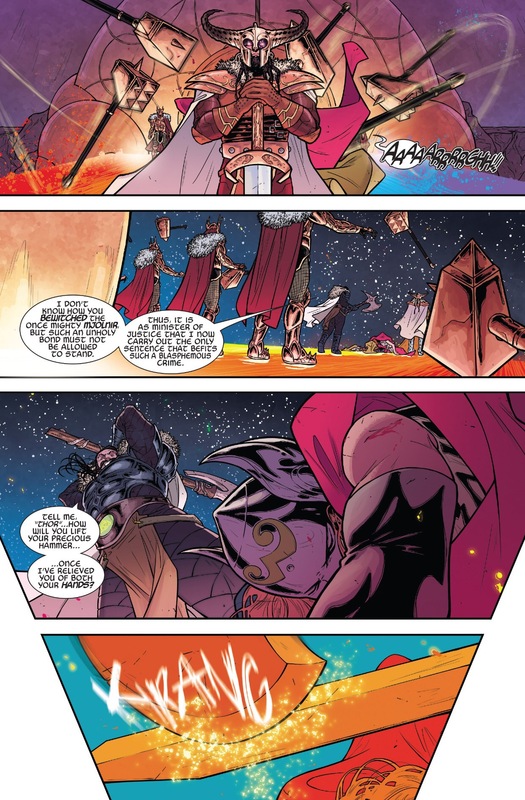 This entry was posted in Jane Foster, The Mighty Thor and tagged Jane Foster, The Mighty Thor on May 13, 2015 by lowbrowcomics.